Standard Size Wardrobe Boxes 20x18x38"
XL Size Wardrobe Boxes 20x18x49"
Shell & Slide Boxes 7"x5"x2"
Shell & Slide Boxes 11"x7"x2"
Shell & Slide Boxes 14"x11"x2"
White PayPal Postal Boxes 8x6x1.6"
Kraft Paper Fruit Bags 7x7"
Kraft Paper Fruit Bags 8.5x8.5"
Kraft Paper Fruit Bags 10x10"
Small Kraft Paper SOS Bags 7x3.5x8.5"
Medium Kraft Paper SOS Bags 8x4x10"
Large Kraft Paper SOS Bags 10x5.5x12.5"
Grey Mailing Bags 4" x 6"
Grey Mailing Bags 6" x 9"
Grey Mailing Bags 9" x 12"
Grey Mailing Bags 9.5" x 13"
Grey Mailing Bags 10" x 12"
Grey Mailing Bags 10" x 14"
Grey Mailing Bags 12" x 14"
Grey Mailing Bags 12" x 16"
Grey Mailing Bags 12.5" x 17"
Grey Mailing Bags 14" x 16"
Grey Mailing Bags 6" x 36"
Grey Mailing Bags 12" x 36"
Grey Mailing Bags 13" x 19"
Grey Mailing Bags 14" x 21"
Grey Mailing Bags 16" x 21"
Grey Mailing Bags 17" x 24"
Grey Mailing Bags 21" x 24"
Grey Mailing Bags 22" x 30"
Grey Mailing Bags 24" x 36"
Grey Mailing Bags 28" x 34"
Grey Mailing Bags 34" x 42"
Grey Mailing Bags 48" x 50"
Metallic Blue Mailing Bags 5"x7"
Metallic Blue Mailing Bags 6"x9"
Metallic Blue Mailing Bags 10"x14"
Metallic Blue Mailing Bags 12"x16"
Metallic Blue Mailing Bags 13"x19"
Metallic Blue Mailing Bags 17"x22"
Metallic Blue Mailing Bags 20"x30"
Metallic Blue Mailing Bags 24"x29"
Metallic Blue Mailing Bags 30"x36"
Olive Green Mailing Bags 6"x9"
Olive Green Mailing Bags 10"x14"
Olive Green Mailing Bags 12"x16"
Olive Green Mailing Bags 16"x20"
Olive Green Mailing Bags 18"x24"
Neon Green Mailing Bags 6"x9"
Neon Green Mailing Bags 10"x14"
Neon Green Mailing Bags 12"x16"
Neon Green Mailing Bags 16"x20"
Neon Green Mailing Bags 18"x24"
Baby Blue Mailing Bags 8.5"x13"
Baby Blue Mailing Bags 10"x14"
Baby Blue Mailing Bags 12"x16"
Baby Blue Mailing Bags 13"x19"
Baby Blue Mailing Bags 17"x21"
Clear Mailing Bags 9" x 12"
Clear Mailing Bags 12" x 16"
Clear Mailing Bags 14" x 18"
PayPal Mailing Bags 10" x 14"
PayPal Mailing Bags 12" x 16"
PayPal Mailing Bags 17" x 24"
Thousands of packaging products held in stock. All orders placed by 3pm are dispatched on the same day using a next working day delivery service. - The item must be available on a UK website at the advertised price, and readily available to purchase. -The item in question must have the same specifications, quantity and be produced by the same manufacturer - although we will usually price match even if made by a different manufacturer, as long as its a comparible quality. - Auction sites such as ebay and amazon do not qualify for price match. - The price match cannot be used in conjunction with any discount codes or promotional items. - If there are pricing errors on competitors sites that are clear typographical pricing errors, these will not be matched. Call us on 0345 224 3691 and we will be more than happy to help! 20 x high quality rolls of polythene layflat tubing, each roll being 10" Wide x 336 metres in length, 250 gauge in thickness. The weight of each roll is 10kg. All the polythene layflat tubing we stock is UK manufactured to the highest quality standards. 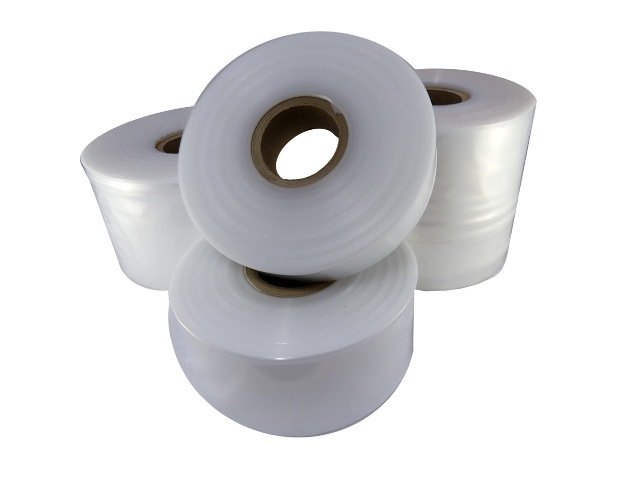 Polythene layflat tubing, also known as plastic clear tubing, is a transparent polythene tubing used for protecting/collating/wrapping various objects. Lay-Flat tubing is made of high quality polymers and offers strength, lubricity, chemical inertness, and biocompatibility. Usually sealed with a heat sealer or stapler (not included in purchase).